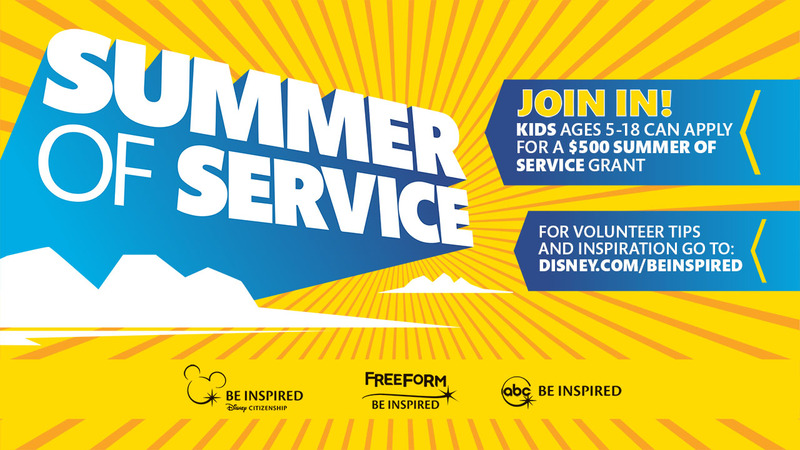 NEW YORK -- Youth Service America (YSA) and The Walt Disney Company, including Disney|ABC Television Group and Disney Consumer Products and Interactive Media, are teaming up this summer to inspire kids and families to make a positive impact in their community. Now through September 30th, individuals ages 5-18 can apply for a $500 grant. That's free money to make a difference in your community! Select grantees will have a chance to be recognized by Disney, ABC, Freeform, or their local ABC station. Grant applications can be submitted at YSA.org/BeInspired. Looking for resources to help start a service project? Go to Disney.com/BeInspired. Share how you plan to make an impact this summer! Sample post: This #SummerOfService, I will volunteer at my local library!